If you’re here, you’re either a huge DIY fan or you have a broken suitcase. And I’m willing to bet it’s the latter. Whatever the issue with your luggage is, you CAN fix it yourself. All you need is the proper tools and the ability to follow some simple instructions. And, if you already have some experience with DIY projects or just fixing items in general, then it’s going to be even easier for you to repair your suitcase. Yes, there are some issues that are unfixable, but if your issue can be repaired by a professional then it can also be done by you. f you’ve nodded your head to any one of these questions then awesome! Let’s talk about all the issues that we often encounter on suitcases (both softshells and hardshells), and how to fix them in this step-by-step luggage repair guide! Sending your suitcase somewhere for repair is undoubtedly easier and quicker than repairing it yourself. However, learning how to fix your own luggage has a whole string of benefits. If you can't decide between becoming a DIY luggage fixer and just mailing it for repair, I will try to persuade you to it yourself. Let's talk about the benefits of learning how to fix your own luggage. It might seem scary to you, or you might think that there's no way that you are capable of fixing your own suitcase. But trust me, that's not the case. Repairing your own luggage is way easier than you think. You just need to get the proper equipment (which I will link wherever possible) and follow the step-by-step instructions. I will include videos wherever I can, since I know some people are simply visual learners. Practice makes perfect. You might completely fail on your first attempt, but you will get the handle of what you're doing by your second or third try. Consider the cost of actually sending your suitcase in for repair. If you are sending it to the manufacturer, you also have to pay the shipping and not just the repair. Therefore, it might actually be cheaper to take your broken suitcase to a local repair shop. But the cheapest way definitely is to learn how to do it yourself. That way, you only have to buy the parts - why pay someone $30 to fix a loose screw, when you can do it yourself for free? In addition to that, if you need your luggage fixed immediately, most people will charge you an additional fee for that. Obviously, not in terms of spending your own time. But, if you need your suitcase fixed ASAP and just don't have the time to send it in for repairs because you have to be on the road tomorrow, then fixing it yourself is much more efficient. This is especially true if you're shipping your suitcase to the manufacturer - this process could take weeks. If you can't afford to be apart from your suitcase for that long, then learning how do it yourself is obviously the best choice. This is actually the case for many repairs. I just broke my document shredder, again! And the idea of dealing with the whole returns/warranty process has me sweating already!!! Most people just hear the words lifetime warranty, and they think they will never have to spend a dime on their suitcase again. Which is so untrue. First, you should always read the terms of your warranty. Most of them state that they only cover manufacturing defects, and not actual physical defects. Or that they will fix a physical defect, but only in the first year or so. And what about when the warranty expires? You will have to either take it to a repair shop, or learn how to fix it yourself eventually. Might as well start now. Especially if you can't afford to spend money on replacement luggage, or even repairs. And you can't put a price on that. Or actually, you could. With every issue you manage to fix, you are just going to improve your suitcase-repairing skills. Think about that - in a year or two, you could become a real pro. And you could help fix your friends' luggage and even charge them. In time, you could even open up your own repair shop if you want. I'm not saying quit your job and become a professional suitcase fixer, but rather something you could do in your spare time. And if you generally love to attempt DIY things, then think of this like more of a hobby than a task. Don't you agree that these are very good reasons to attempt to fix your own luggage yourself? If you do, let's move on to the problems that you are most likely to encounter with your luggage and the best possible solutions for them. Is a wheel on your suitcase a little looser then you'd like it to be? Or maybe a piece has broken off a plastic or silicone wheel, and now you can't drag your suitcase around. There's a quick and easy fix for that. And even if you have to replace the entire wheel (or more of them), that's not going to be an issue. In this section, I'll talk you through all types of issues you can have with your wheels and how to fix them. Before you even think about replacing the wheels on your suitcase yourself, you need to make sure you have the proper tools. So, here's everything you're going to need to preform a successful wheel reconstruction surgery. Note: Keep in mind that you won't need all of these items - it depends on the type of wheels on your suitcase, and how they are attached to it. You'll need these tools to remove wheels that are riveted or attached with an axle. 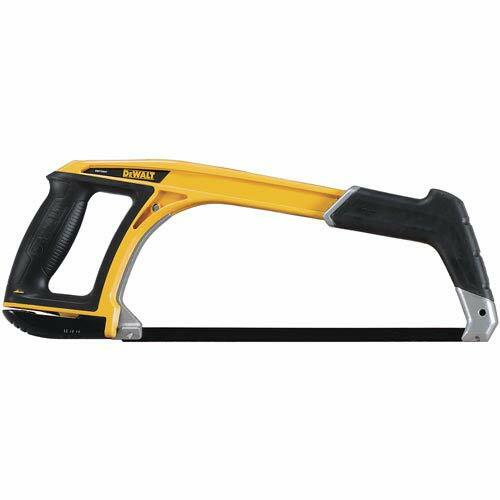 If you already own any type of hacksaw you don't have to buy a new one. However, removing them with a drill is much easier and faster, as you will soon see. If you're not 100% sure what screws are holding the wheels of your luggage in place, your best bet is to get an all-in-one type of set of screwdrivers. Also, if you decide to get the DeWalt drill, then your best option is to just buy a screw set for it. 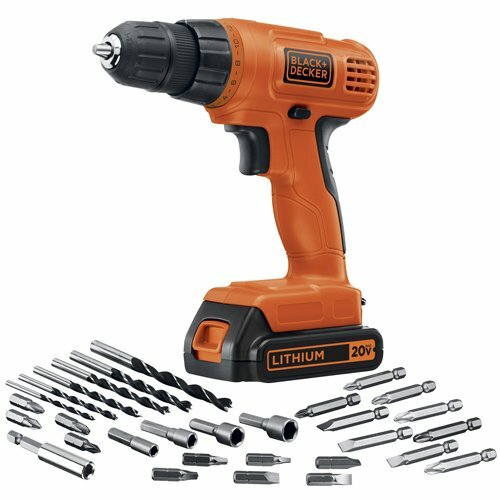 Since it's such a multi-functional tool, you will be able to use it both as a screwdriver and as a drill - which might actually save you money in the long run. 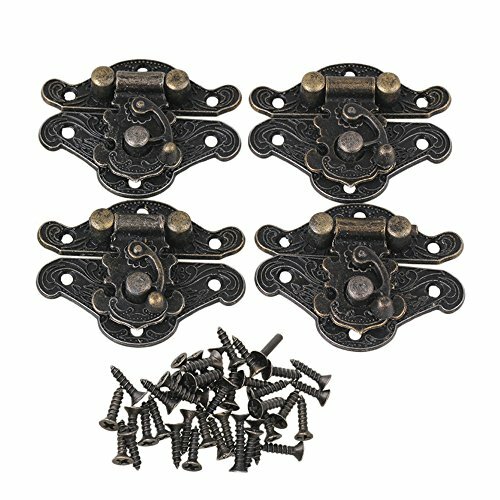 Each of these sets includes two wheels with all of the screws and bolts you need to secure them in place. Don't worry about it getting too technical, I'll talk you through the details of replacing the wheels later. For now, you need to know how to choose the proper replacement wheels for your luggage. Generally, you need to differentiate between wheels that are riveted and those that are screwed on. According to that, you need to purchase the type of wheels that are suitable for your luggage. As for spinner wheels, you can just place pretty much any type of wheel in the leg. The second set here is a set of wheels with the legs, but the method of replacement I'm going to show you includes just removing the wheel and not the entire leg. However, if you decide to purchase the middle set, here's what you need to know: unzip the lining to expose the bolts, unscrew the entire wheel leg, screw the new wheel legs (with wheels) in place, and that's it. Get The Right Size Wheel! The thing you need to be careful with is the size of the wheels. 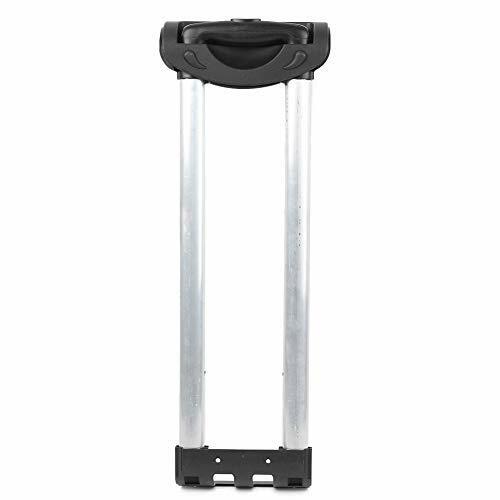 You need to get replacement wheels that are the exact same size as the ones currently on your luggage - otherwise, your suitcase is going to tilt one way when standing upright. All three of these sets allow you to choose between several different sizes of wheels, so picking out the right ones should be fairly easy - as long as you take proper measurements of the wheels on your suitcase. Now that we've covered pretty much all of the equipment that you're going to need, let's move on to the various issues you could encounter with the wheels of your suitcase, and how to fix them. If there is a wobbly wheel on your suitcase, you can fix it in just a few minutes. Actually, the process of fixing the wheel is the easiest and quickest part of the repair process. What takes a little more time is figuring out what tool you need to do it! First you need to identify the types of screws on your wheel, so that you know what type of screwdriver to use or buy. The next step is to figure out the size of the screw - you can do that by measuring the length of its shank. Or, if you've got any replacement screws with your luggage, their size should be stated on the packaging. When you successfully figure out the type and size of the screws on the wheels, then you just need to use the appropriate screwdriver. 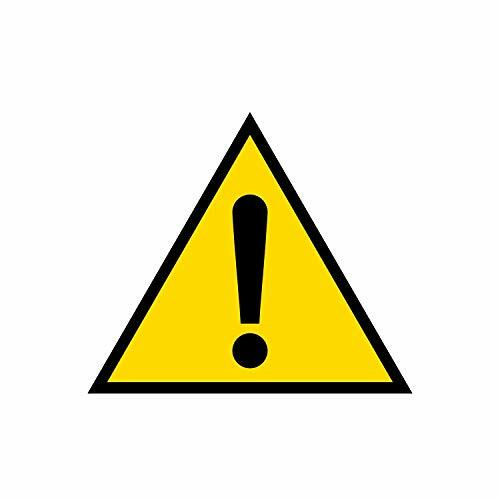 Chances are that your wheels are fastened with hex or regular Phillips screws - that's most often the case. 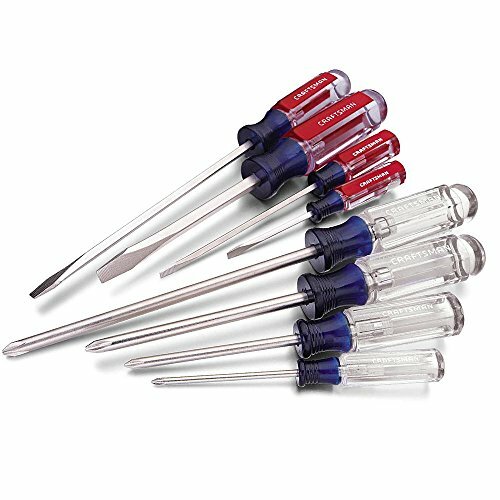 So, all the equipment you need is a set of hex screwdrivers - I'm guessing you already own a few Phillips screwdrivers, because who doesn't, right? Then just get out the right screwdriver, and insert it into the screw. Make sure that it is at a 90 degree angle. You want the wheels to feel tight on the suitcase, but not too tight - fastening them way too tightly could cause the wheel to seize and just make an even bigger mess. Instead, turn the screws a couple of times and then try budging the wheel around. When you feel that the wheel isn't going anywhere but that you could still tighten the screw a bit, you'll know you've done the job properly. Extra Points: If you want to take it a step further, you can add a little loctite to the screw. This adds a little plastic type material to the end to ensure it does not vibrate lose with extended use (like walking on French cobble stones for 2 hours!). 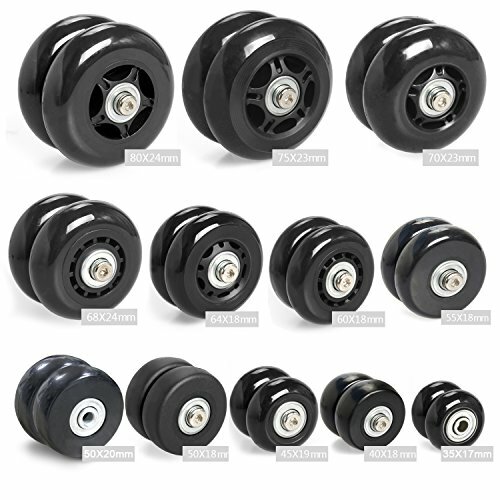 If your luggage is equipped with in-line skate wheels, there's a good chance that the wheels are made of silicone. One issue that you can have with these is that, over time, little chunks of the wheel will break off, which will prevent them from rolling smoothly. Been there, done that. Right? This is easier to fix than you think. You'll need some patience and a roll of duct tape. First, if a large chunk of your wheel has broken off, you want to remove the entire wheel - until the metal base of the wheel is exposed. It might seem counterintuitive, but just trust me on this one. Then, make sure that you've split the duct tape so that it is not wider than the base. You want to wrap up the tape around the base, until it is as thick as the regular wheel. You can pick up your suitcase from time to time and try to roll it around to room to check if you need to add a few more layers of tape. When you feel that both the original and the "new" wheel are rolling evenly, you can stop wrapping the base. Next you'll want to slant the edges a bit, especially if they are rubbing of the frame of your luggage. Use a carpet knife or some sandpaper to do this - be careful not to harm yourself. In terms of functionality, your suitcase should be as good as new. If you're worried about aesthetics, you can always cover up the duct tape with a piece of black electrical tape - no one will be able to tell difference between the two wheels, apart from you! Keep in mind that this is only a temporary fix. 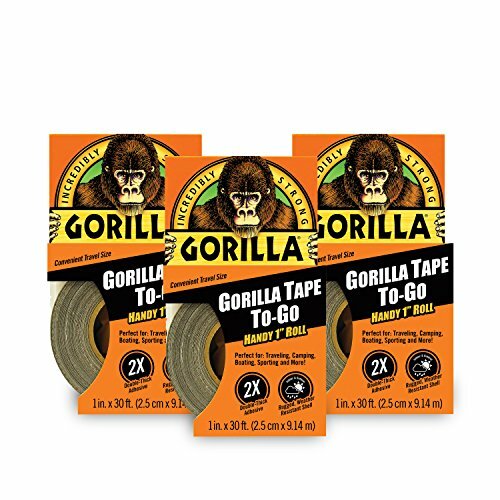 The tape will wear out over time, especially if you're dragging the luggage on uneven terrain. You'll have to replace the wheel eventually, and we'll talk about that in a minute. This step is going to require a bit more equipment than the other two. Your best option is to simply get a wheel replacement kit from Amazon - I'll link a few good ones in the next section. Depending on the type of the wheels on your luggage, there are a few different approaches to wheel replacement. These are probably the hardest type to repair. Because you cannot just unscrew them - first you have to cut through the metal rod that is holding them together. So, get out your safety goggles and a hacksaw. Carefully cut through the rod, making sure that you don't injure yourself. Tear apart the washers and bearings that are holding the wheel in place from the rivet with your hands (wear gloves, the rod will be hot! ), and set them aside. You are going to need those. But you won't need the wheel itself - that you can throw away. Put the old bearings into the new wheel, one on each side. They will help keep the wheel in place and steady while you insert it into the wheel well. When you've inserted the wheel into the well, place a screw through it and the bearing. Finally, put washers on both sides of the wheel and fasten them in place. You can then insert a new rivet through the wheels and tighten the final nuts and you're done. Just don't tighten them too much - they won't roll smoothly if you do that. First, you'll want to buy replacement wheels that are the exact same size as the ones that are already on your luggage. 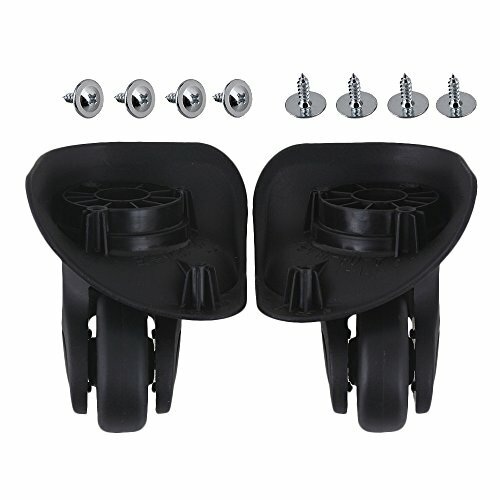 Additionally, try getting wheels that come with the same type of screws that your luggage now has - it will be much easier to replace them, because you will get all the equipment you need. Lie your suitcase flat and unzip the lining. That will expose the nut bolts inside the suitcase, which are holding the screws in place. Get a wrench that is appropriate for the nut bolts in your suitcase and grip them tightly, and then use a screwdriver to remove the screws that are holding the wheel well in place. To remove the screws, you need to turn them counter-clockwise (righty tighty, lefty loosy!). There should be a small clip within the wheel. You have to push it out, to be able to remove the bolts and the wheel. Once you've done that, you can take out the damaged wheel completely and dispose of it. Now all you have to do is put the replacement wheel in the wheel well. Put washers on each side of the wheel, and secure it into place. You can do that by attaching a clip right through the slot on the axle. When you've successfully secured the wheel into the wheel well, put the well back on your suitcase and screw it into place. Roll your suitcase around the room for a little while, to make sure that the wheels are nice and tight. Even though we’re using a drill, this is a slightly less invasive process than the previous one. You are going to need a drill to remove the wheel, because of the eyelet rivets. You have to drill a hole through them, so that they will fall out. You could use a hacksaw to saw through the axle of the wheel, but that’s a little bit more risky – you could damage the leg of the wheel. But if you don’t own a drill, then this is the way to do it – just be careful and go slowly. 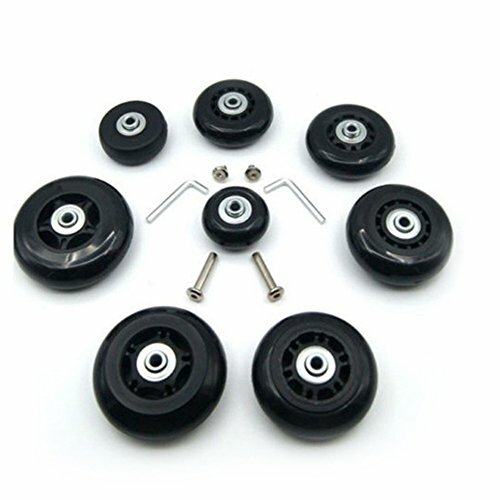 The thing about these wheels is that they are also riveted, but they are not all connected with a large metal rod like the first type. However, you still have to remove the rivets, so, on with the drill method. Determine the size of the hole, and then use an appropriate drill bit. If the hole is 5 mm wide, use a slightly larger drill bit – a 5.5 mm would be the perfect choice. And remember, slow and steady wins the race – you want to drill through the top ring just until it breaks away. If you drill too much, you could damage the wheel or the leg, and we don’t want that. Once you’ve done that, the wheel should easily come off. Remove all damaged wheels and clean the legs. Then just place the replacement wheels in the legs, put the axles through them and the final bolts in the axles. Tighten everything nicely, and you’re done. Have a suitcase with a broken handle? Don't worry, you can fix it yourself easily! First, you have to figure out what the exact issue with the handle is, and then I'll walk you through the repair process. Additionally, even if the handles on your luggage are broken beyond repair, the process of replacing them is really simple. 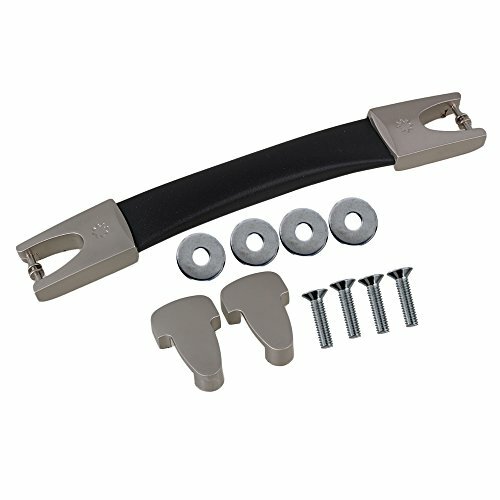 So, let's see what the most common issues with luggage handles are, and how to fix them. If your wheel handle is broken, and the push button looks anything like the one in the picture below, it’s going to be an easy fix. So first, determine the type of screws that are holding the handle in place, and get an appropriate screwdriver. You can see here that I needed a Phillips screwdriver for this particular suitcase. And, even though the screws were of different sizes, I managed to remove them all with one screwdriver. You just need some precision and patience. The first issue I had to deal with was how to get access to the screws, since they were located on a part of the handle that was inaccessible, due to it being stuck. If you have the same issue, use a little brute force – just enough to get the part of the handle with the screws out. Carefully remove all the screws. Don’t worry if some of them aren’t coming out completely – as long as you manage to disassemble the handle, it’s fine. As you can see, the issue was very clear at first sight. One piece of the button just fell out of the handle, while other appeared to be forcefully lodged in place. So how do we fix it? Obviously, with some superglue! Apply some glue to the surface that is going to be attached to the button, then hold it in place for about a minute until it sticks to the other piece of plastic. Leave it to set and repeat the process on the other piece. I left the entire thing to set for about half an hour, before I decided to put the handle back together. You need to make sure that the glue has dried completely, otherwise you risk gluing the button to the inside of the handle, and making your suitcase even more useless than before. So, after about half an hour or an hour, put everything back together, and screw everything in place. You should be able to tell by the sizes of the holes which screw goes where, if you already forgot where they were in the first place. And voila, as good as new! If your push button is working just fine, but you can't get the handles to budge unless you apply a lot of force, then you have a different issue. Chances are that they are just stuck, and that you need to grease them a little bit. But first you need to make sure that the tubes are actually stuck. First detach the handle from the tubes, by removing all the screws that are keeping it in place. When you do that, you should see a thin metal rod sticking out from each of the tubes. These rods are what actually makes your wheel handle extend. Sometimes the fix is easy as repositioning the rods inside the holes in the handle, so that they can connect to the push button. Try to do that - maybe one of them just fell out of the hole. But if that doesn't work, it's time to check what's the issue. Push down on the metal rod, and then try to extend the tube. If the tube extends, then the issue is not with it, but rather with the handle. On the other hand, if one (or both) of the tubes won't budge, then you've successfully isolated the issue. First thing you are going to try to do is grease the tube. But before you do that, you should check whether something got stuck inside the tubes. So, take out the metal rods and try to see inside the tubes. You're going to need a flashlight for this. If you see anything weird inside, remove it. 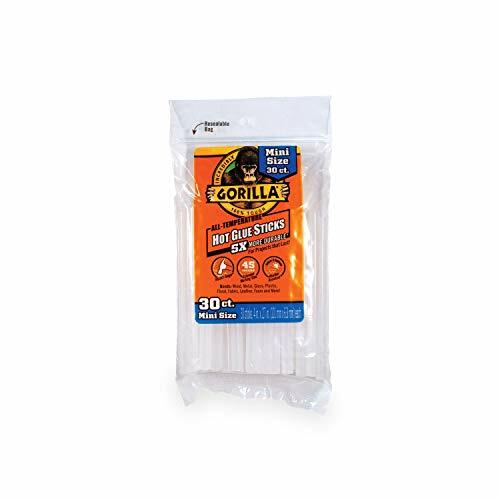 You can to this by getting a long, thin stick and wiggling out the foreign debris, or by just turning the suitcase over so that it can fall out of the tube. If there is no debris inside the tube, then greasing the rods is the next step. Just some WD-40 should do the trick. But if you don't have that, you could even use some soap or even olive oil - the important thing is that you use some sort of a greasy lubricant. Leave if for about 15 minutes, and then try extending the tubes again. Push down on the rods and pull the tubes up - if it works, then congratulations! You've managed to successfully repair your telescopic wheel handle! Screw the top handle back in place, and be careful to align the rods inside the little holes. With a push of the button the tubes should extend nicely, and your wheel handle should be as good as new! However, if that didn't fix your issue, then I'm afraid you're going to have to replace the entire handle system. But there is one more issue to check for, before you go ahead and disassemble half of your suitcase. If one of the tubes just won't stay up and falls out of the handle, there is a good chance that a screw came loose. Check for that first - it's something you can fix yourself in about two minutes. You just need to find a screw that is the same size as the one that came loose, and then screw the handle into the tube. Was this the issue you had with your luggage? Just imagine if you had sent it in for repair and spent a ton of money to get it fixed, when you can do it yourself in less than 150 seconds! But if there is something else wrong with the telescopic handle on your suitcase and none of these fixes helped, then your best bet is to simply replace the entire thing. And it's not at all difficult to do - I'll guide you through the process. On the right, you can see little rivets. These need to be drilled through, and don’t even attempt replacing the handle if you don’t have a drill – that’s the only way to remove them. Measure the hole of the rivet, and find a drill bit that is about 0.5 mm larger than it. Drill steadily through the rivet just until you make a hole and it falls out. That will allow you to take out the screws easily. On the other hand, check out the photo on the left. The screws are fastened with nuts, which are practically inaccessible. Because you need a wrench to unfasten these, and there is no way to get a wrench inside this plastic hole. I gave up on this particular suitcase – I tried to loosen the nut with tweezers, didn’t work. But also keep in mind that this particular image is of a really old and cheap suitcase, and you shouldn’t encounter such design flaws on the more recent (or expensive) ones. Okay, so back to the rivets. Once you’ve drilled through them all and removed the screws, you should be able to easily remove the handle. One more thing – it is also possible to remove just the tubes, if they are fastened to the suitcase. As you can see in the video below, the tubes are screwed into the suitcase with regular Phillips screws. All you need to remove them is a Phillips screwdriver. But if you’re removing the entire handle system, you will have to drill through the rivets. However, please check what the rivets are connecting to your suitcase - there is a chance that you don't have to remove them. In this particular image, they are used to attach the piece of plastic that attaches the handle to the body of the suitcase. Since this part of the handle system is intact, there is really no need to remove it. If you also notice that you don't need to remove that part, you will save yourself a lot of time and energy. If you managed to remove the handle with the tubes, now it is time to put in a new one. This is the easy part - just place the tubes through the same holes where your old telescopic handle was. Make sure that you properly align the tubes - the holes in the tubes should be in the same place as the holes on the plastic mount, because that's where the screws go. Now all you have to do is place the screws in the holes and fasten them tightly. Once you've done that, you should apply some lubricant to the tubes, and extend the handle and retract it a few times. Take your suitcase out for a spin and test the handle - if everything appears to work fine, then congratulations! You have successfully replaced a faulty wheel handle. One thing you can do, which will ensure you get the right part for your suitcase, is message the manufacturer and request that they send you a spare part. 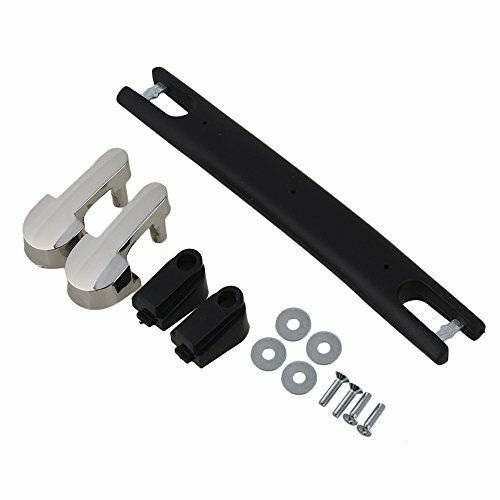 That's the only way you can be 100% sure that the replacement handle is going to fit your suitcase perfectly, especially because it is not so easy to find spare parts for luggage online. You can usually find information about spare parts in their Frequently Asked Questions sections, like on Samsonite's page. Then you just email them the correct info, and wait for your spare part to arrive. This is a much quicker and easier process than replacing the telescopic handle. That’s because carry handles are usually attached with just two screws. When you have to replace them, all you have to do is take out the screws, and that’s it. Put a new carry handle in its place and fasten the new screws. If your suitcase is fully lined inside, you are going to have to remove the lining to expose the screws. If you can just unzip it then great - the interior of your suitcase will stay intact. However, if the lining is glued to the body of the suitcase, you might have to rip it off, or cut a hole in it. If that is the case, consider whether replacing the carry handle is worth it. One thing you have to be careful about is the width of the handle. You need to make sure that it is as wide as the old handle – otherwise the screws and the holes aren’t going to be aligned. You could technically attach it even if it doesn’t fit properly – just drill new holes through the handle. But then it’s not going to be really aesthetically pleasing. You don’t have to worry about shape as much. In fact, you can choose any shape or type of the handle you like, so you can even upgrade your suitcase. 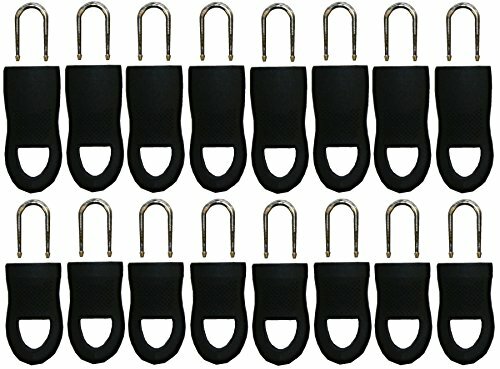 Check out these handle on Amazon below – there is a huge variety of styles, and you can see the dimensions of each one if you scroll to the product information section. If you simply want to repair a broken handle, then I have two suggestions for you. If you have a softshell suitcase and a handle that is made of fabric, your best option is to sew it back together. If you don't want it to be obvious that you fixed it yourself, make sure to get a string that is the same color as the fabric of the handle. This is a pretty easy fix, and even if you're not a pro at sewing, it shouldn't be too difficult to do. If you have a broken plastic handle, then it's time to take out your superglue again. Apply some glue to both parts of the handle, and hold them together firmly for a minute. Then leave the glue to set for an hour or two, making sure that the handle is not touching the body of the suitcase - you don't want to glue to the handle to your luggage, right? And that's it - your carry handles should be good to go. Zipperless suitcases are pretty popular among frequent travellers, especially because it's virtually impossible to break inside them. However, if the latch on your zipperless hardshell got stuck or broken, then you have a useless piece of luggage. You want to fix it or replace it? No problem. It's time to check out some problems that you might have with a suitcase latch. And if you can't fix it, I'll show you how to replace it - it is easier than you think. If the latch on your suitcase still works but you're having a hard time getting it to lock and then unlock, there's a good chance that you just need to grease it. And it's pretty normal to experience this, especially if you've owned that particular suitcase for a while. So, you need to grease the insides of the latch, as well as the flap. Move around the parts of the latch and see which ones are stiff - this is the best way to determine the exact parts that need to be greased. The best latch lubricant you get is WD-40. But if you don't have it handy, you could also use some oil, butter or even soap - as long as it's greasy it should do the trick. If this little hack solved your problem, then awesome! But if not, let's talk about other things that could be wrong with your luggage latch. So you're trying to lock your suitcase, but the latch refuses to cooperate. Maybe the top part of the lock won't go in the hole? Or maybe you can manage to close the lock, but it just pops open again? If this sounds like your issue, then there are two things that might be wrong with the latch of your suitcase. First, check the flap. It is the top part of the lock that you insert into the hole - maybe the flap is bent, and that's why your suitcase won't lock. And this is an easy problem to fix - just straighten the flap with your fingers. Use some pliers if you're not strong enough to do it with your bare hands. Just be gentle - if you pull the flap too fast or if you use too much force, you could break it off. You're not sure how straight it's supposed to be? If your other latch is working fine, then compare the two. Straightening the damaged latch until it looks like the normal one should do the trick. But if the flap looked perfectly fine, then you're going to have to clean out the hole of the lock. Chances are that it's gotten filled up with dust or some other debris - especially if you've owned the suitcase for a while. This is also pretty easy to do - I use cotton swabs when I have to clean out these locks, since they pretty tiny and it's easy to get them inside. You could also try to use a blow-dryer - just like when you're cleaning out your keyboard. The air pressure will make the debris come out, and your lock should be pretty clean. If none of these tricks work and you still can't get the latch to lock, then it's time to remove it from the suitcase and take it apart. It's possible that something inside the latch has broken off. I will say this - if a piece of the latch broke off, you need to replace the latch. You can attempt to repair it, but it will most likely break off again. 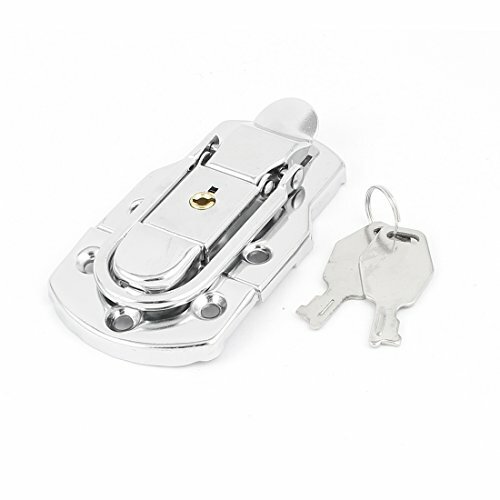 Latches are usually made of steel and if a piece managed to break off, it will be extremely difficult to repair. Additionally, there is a possibility that it will break again in transit, and you'll have a faulty latch on your suitcase on your return trip. And that is definitely not something you want to deal with on your vacay. But if you need a quick fix, try these two tricks. Now, you can see that the screws aren't at all exposed. Additionally, the lining was glued to the suitcase, and I actually had to tear it apart from the shell to get it to open. And I still couldn't get to the screws to replace it. Now what I did here was try to superglue the latch back together. And very, very carefully - since I couldn't remove it and disassemble it, there was a chance that the glue was going to stick to the other parts of the latch, rendering it even more useless than before. What did I do to avoid this? Since the top part of the lock broke at the core, I knew that if I just tried to glue it in place it would get stuck to the upper part of the lock. So, when I was aligning the broken piece to the latch spring, I pulled down on it gently. I kept it in place until the glue dried somewhat and then I let it go. I left it to set for an hour and lo and behold - now I can lock my suitcase up. Now, if the screws of the latch are exposed, just detach it and try to fix it like that. This is the safer way, since you are less likely to damage the rest of your suitcase - getting superglue on fabric is a nightmare. But since these latches are often one-piece mechanisms, sometimes you can't really fix them - other than try to glue them back together. Two things to note: you need some really strong superglue if you want this to work. Otherwise, when you try to unlock the latch, the broken piece will just come off again. This actually happened the first time to me, when I used some weak superglue. The top part of the latch just popped off because of the force of the mechanism and it went flying above me. So just in case, duck when you're opening the suitcase. :> The other thing to keep in mind that you have to let the glue set properly. Depending on the type of your superglue, this can take anywhere from an hour to several hours. Be patient - it is worth it. On the other hand, if the screws aren't exposed, I urge you not to try to detach it. You'll make a hole in your suitcase, one that will probably be too large for the latch screws, and you won't be able to put the latch back in place. In that case, I advise that you simply replace the latch - so let's talk a bit about that. 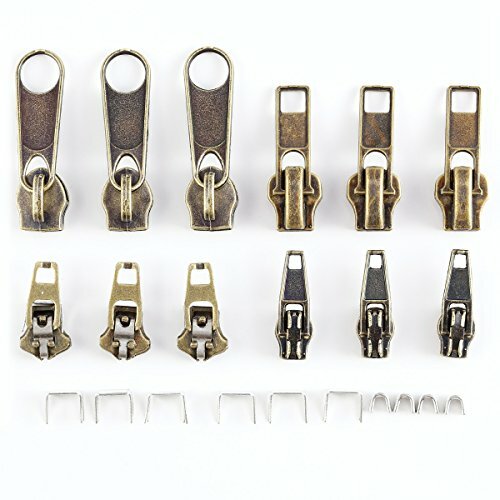 What's really fun about replacing a latch is that you can pretty much choose any type of latch you want for your suitcase. Once you remove the old latch, your suitcase is pretty much a blank canvas. You would have to drill some new holes to be able to place the new latch, but it won't damage your suitcase too much. You want something vintage? Go for it! To remove the old, broken latch, you'll need to unscrew it from the suitcase. If regular screws are holding it in place, then this should be fairly easy. If they are riveted, you will need to drill through the rivets. I wrote about this process in much more detail in the first section (repairing the wheels), so please refer to that. You can also see my suggestion on the best drill for this job there. When you've removed the old latch, put the new one in its place. If it's possible, align the holes on it to the holes on the suitcase. If not, you will have to drill a new hole - measure the diameter of the latch hole, and choose an appropriate drill bit. This will ensure that the latch is tightly secured on the suitcase and that it doesn't wobble around. 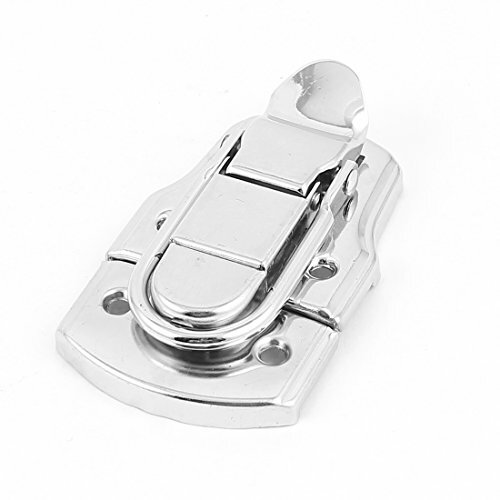 However, if you want the exact same latch as was on your luggage before, then you should contact the manufacturer and request a replacement part. Go to their website and check the FAQ sections - you can usually find info about getting spare parts there. TSA locks are an important piece of your luggage. They ensure the safety of your suitcase by keeping the bad guys out. 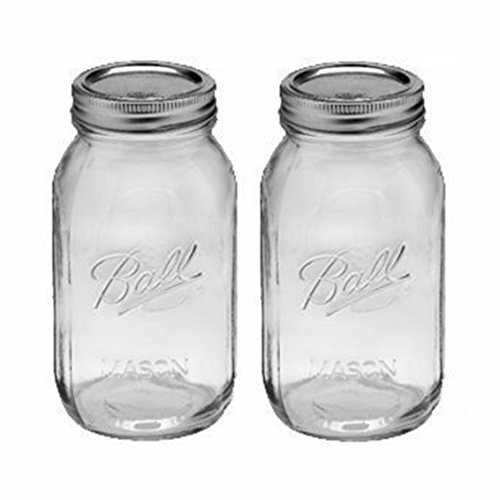 But they also allow the good guys in – since TSA agents can easily open these if they need to. So if your TSA lock breaks or gets stuck, you want to repair it ASAP – especially if you plan on flying to the US. Want to learn how to fix it yourself? Let’s get down to it! If you don’t think the lock is broken but it’s just not working properly, then you should take the time to reassemble it. There is a good chance that one of the pieces just fell out of its place, and that putting it back in place will fix the problem – especially if the lock makes a rattling sound when you shake it. And yes, repairing it is as easy as it sounds. First you want to find the screws with which the lock is attached to the suitcase. You will probably have to unzip the lining to find them – on all of my luggage, the locks were attached with regular Phillips screws. So, I used a regular Phillips screwdriver to remove the lock and it took me about two minutes to do that. Easy peasy. Pro-tip: if you’re not 100% sure that you’ll remember how to put everything together, take a picture of the lock as soon as you open it. That way you won’t have to rely on your memory, and you can just use the photo to see where each piece goes. Be very careful when removing the individual pieces, especially the push button spring. Some pieces are tiny and try to always keep them in your sight. If any of the pieces were loose, reassembling the lock should fix your issue. When you’re finished with that, reattach it to the suitcase (with the same screws you removed in the first place) and try it out. If it works fine now then you’ve managed to fix it! If your lock works fine but it gets stuck from time to time, then you just need to grease the push button. So, follow the same steps as in the above section to remove it and disassemble it. Once you’ve done that, take a cotton swab and some rubbing alcohol and clean the metal cover of the lock. If your lock is entirely made of plastic, then clean out the dust and any other debris with water. After that get some WD-40 (or oil, butter, soap) and grease the push button mechanism. Apply just a drop or two of lubricant and it should do the trick. Also apply some to the gate mechanism, and leave it to dry for 15-20 minutes. Then just reassemble the lock and screw it back on your suitcase – it should be as good as new. If you locked your suitcase at one point and forgot what combination you chose for the lock, then you have a pretty big issue. But, instead of taking your luggage to a locksmith, you can easily reset it yourself. 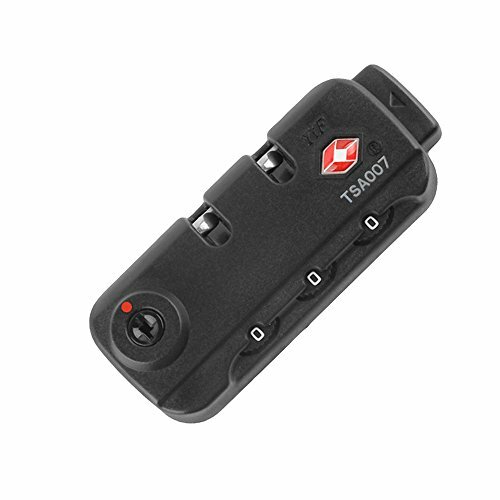 Now, this is a little bit scary - when you realize how easy it actually is to pick a 007 TSA lock, you might want to reconsider using them on your luggage. But that is a topic for a different post. One way to do this is to insert a pen into the teeth of the zipper of your suitcase - this will allow you to get inside your luggage, and unscrew the lock. You can disassemble it completely and remove the zipper pullers from its teeth. Then just zip up your entire suitcase again, and you've sort of fixed your issue. Well, you've managed to open up your permanently locked suitcase, but you still don't know the combination to that lock. As you see, you just need a toothpick! Keep in mind that simply pressing the reset button won't work while the pullers are in the lock, which is why you need to take it apart first. But if this is too much work for you, there is another way to reset the lock, which also uses just a toothpick - but it requires you breaking into your own suitcase. If you've tried everything and your lock still doesn't work, then it's time to replace it. And I'm going to show you how to do that in the next section. 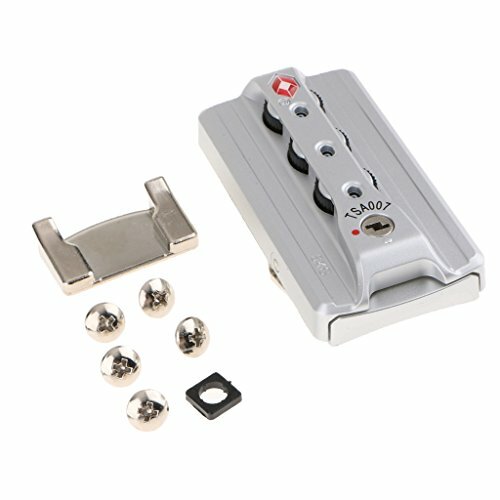 If you’re not 100% sure just from looking at the lock, check the position of the screws on the back. Compare it to the ones on the lock you have now, and make sure that they are in the same place. Once you’ve removed the old lock, simply put the new lock in its place. Make sure you align it with the holes that already exist on your suitcase. Then just screw it in place and that’s it! Oh and don’t forget to set up a new combination. 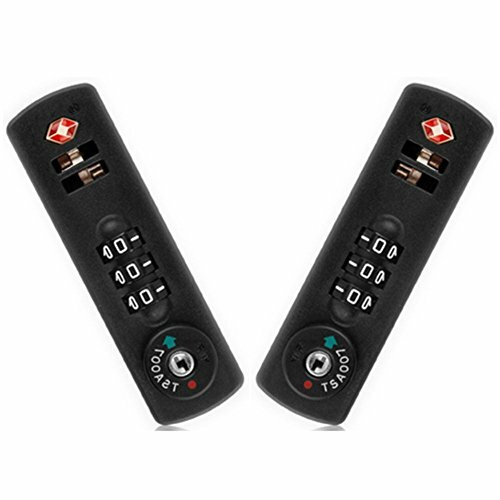 If you’re not sure how to do that, you can refer to the video in the previous section, which explains how you can (re)set a TSA combination lock. I’ll try to explain to you how to fix these issues step-by-step – you just have to follow the instructions. So, if you want to fix your suitcase zipper, this is the section you’re looking for. When you have a stuck zipper, that means that it got caught on something. So obviously, you need to remove whatever it got caught on. Let's try something real quick and easy first - get a graphite pencil and rub the tip of the pencil on the teeth of the zipper. And now try to work the zipper again - if it works then awesome. You fixed in less than a minute. But if it's still stuck, let's try a different fix. You'll need some sort of grease or lubricant - preferably something that's not oil-based, because it will stain the fabric. Try using bar soap or even a lip balm - rub it on the teeth of the zipper, and then slowly work the zipper down. As you're working the zipper, reapply the lubricant every now and then - it will be quicker that way. Also, this is best way to fix a zipper that got stuck in fabric. 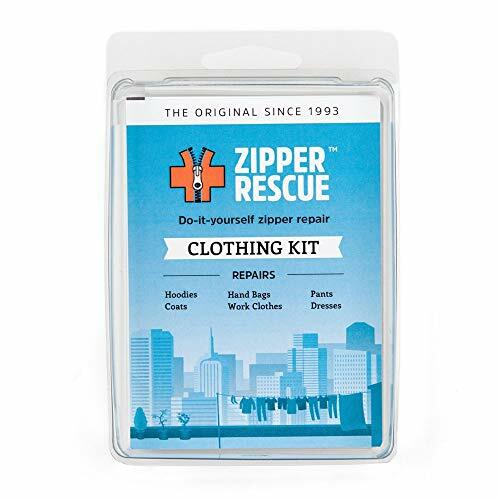 There's one more thing you could do if the zipper got stuck in its own fabric - bring it up a little bit while holding the rest of the zipper fabric out of the teeth's way. Hold the fabric down with one hand, then slowly work the zipper down. Sometimes you can get the fabric out with just your hands and there's no need for any additional tools. This is a pretty easy fix. 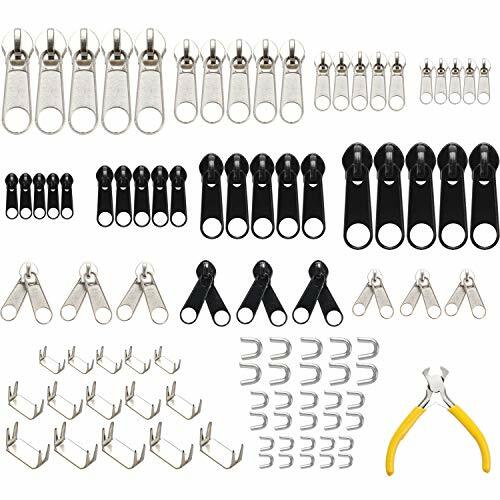 There are actually plenty of different things you could do to replace a broken zipper puller. One of them includes getting a replacement puller and just inserting it into the slider. And keep in mind that you can pretty much put any type of a zipper puller you like. You want it to have a star at the end? Go for it. 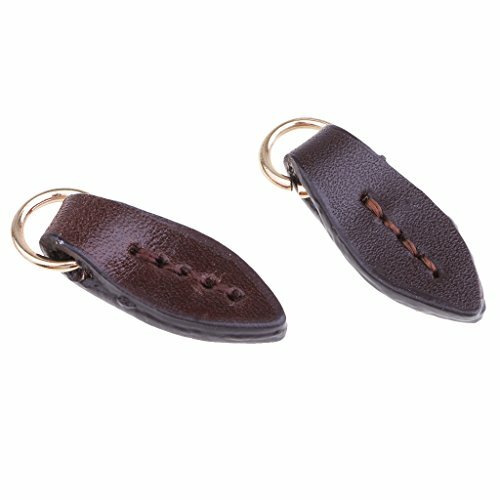 Maybe you want a leather zipper puller this time? Why not! But if don’t really have an issue with the puller, but rather with the teeth or the slider, then you are going to have to get a little more creative. So, let’s talk about what to do if your zipper won’t close or if the teeth are popping apart. You zip up your suitcase but the teeth don’t close properly. Or they just pop open. Does this sound like your issue? If so, I have a few suggestions on how to fix it. But, you will have to figure out which part of the zipper is responsible for this. First thing you should do is try the soap/pencil trick. Sometimes, the teeth just need to be greased a little bit and they’ll work properly after that. Then check the slider. There is a chance, especially if your suitcase is pretty old, that the slider is simply not catching the teeth properly. The reason why this is happening is usually that the slider came apart a little bit, and it’s too wide for the teeth. 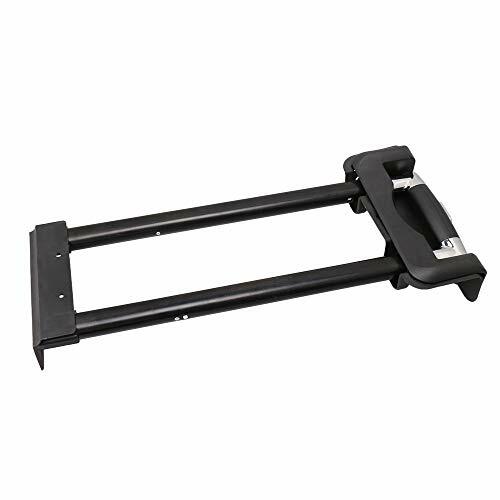 You’ll need a pair of pliers to fix this – grip the base of the slider and tighten it a little bit. Don’t squeeze on the pliers too hard, because you risk breaking the slider if you do that. But if you do it gently, you will tighten the slider and it should work normally again. If this didn’t fix the zipper, then it’s time to take a look at the teeth. If any of them are sticking out, grab those pliers and straighten them. Again, be gentle – breaking off even a single tooth will just mess up your zipper even more. If none of these fixes worked, then I’m afraid you’re going to have to replace the entire zipper. Let’s talk about that. There are two ways you can replace your suitcase zipper. First, if only the slider is broken, then you can just replace the slider. This is a lot easier and quicker to do. For this you just need a pair of pliers and a steady hand. Insert the pliers inside the slider, into the part that grips the teeth of the zipper. Apply some vertical pressure, and do your best to pry away the slider from the rest of the zipper. 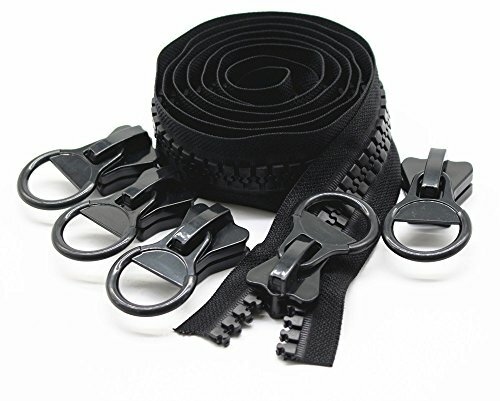 If you can’t do this, you can just remove the zip stops – the two little bars that stop your slider from falling off the teeth. Then just remove the slider, and you’re ready to put in a new slider. But if you opted for the second option, don’t forget to put back the stops! Otherwise, your zipper won’t be of much use. Now, if the slider is broken and the teeth are broken you are going to have to remove the entire zipper. This method is going to require you to sew in a new zipper, so you should have at least some manual sewing experience. Since most suitcases are pretty bulky, you can’t really use a sewing machine. I mean you could try, but you’re just going to wind up with a broken machine needle. And don’t cut the seams to remove the zipper – this will make it much harder to sew in a new zipper, especially if you’re fixing a hardside suitcase. Hardside luggage is usually much more expensive than softside. So, it hurts even more when the shell cracks or when you see a nasty scratch on it after your flight. But don't stress - you don't have to shell out another $200 (at least!) to get a new suitcase. You can repair the shell of your hardside suitcase yourself, and I'm going to tell you how to do it step by step. If you're devastated because a small piece of your suitcase cracked, or you just found a hole in your brand new suitcase, don't be. It's actually pretty easy to fix it - you'll just need some Sugru glue, a piece of mesh and a spoon. You could also use a pair of rubber gloves, if you want to be as careful as possible. Examine the damaged part of the suitcase. If a small piece of plastic is cracked, try to remove it from the shell. But do this carefully - you don't want to crack it even more. Once you've done that, you should be left with hole in your hardshell suitcase. 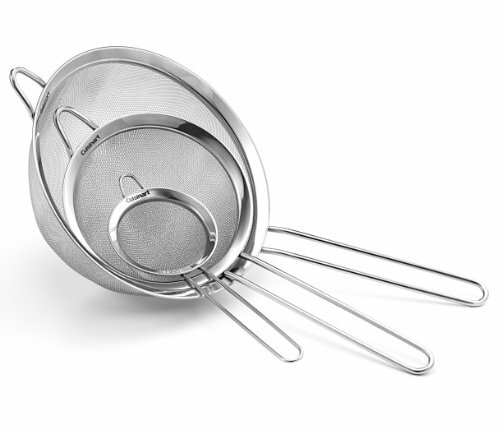 Now you want to take that piece of mesh (I suggest using an old strainer and cutting a piece from it) and cover the hole with it. Make sure that the mesh is wider than the hole on all sides - depending on the size of the hole, you want to the mesh to be half as much wider. Mold the mesh inside the hole with the spoon - oh and we're doing this inside the suitcase. Now is the time to put on the rubber gloves, if you don't want to get your hands dirty. 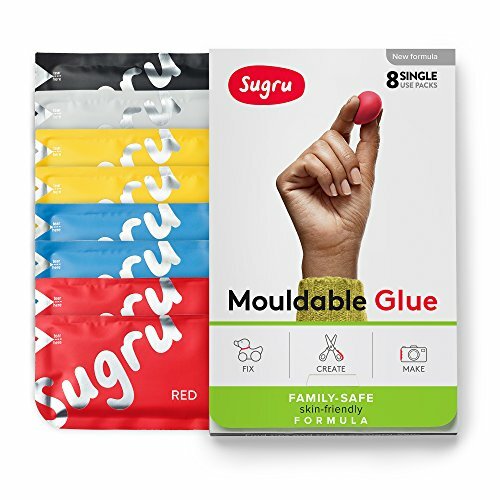 Get your Sugru glue - if it's a small crack, you'll need just one packet. However, if it's larger, you will probably need at least two or three packets. And keep in mind - the larger the hole, the less stable this fix is going to make it. If it is a really large crack, I suggest you check out the next section - that fix is much more suitable for it. 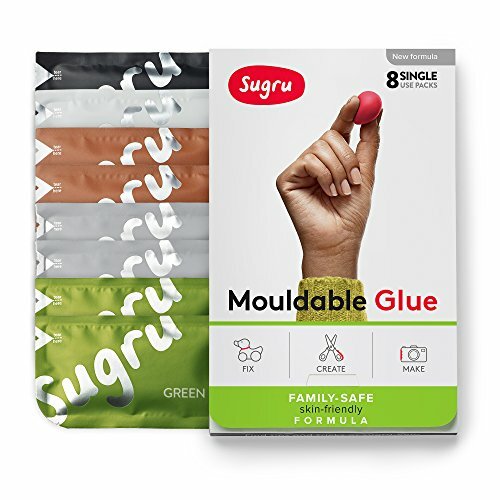 One more thing - Sugru glue comes in several different colors. You want to get a color that's going to match the outside of your suitcase, so that it's not noticeable that you ever repaired it. And again, we're fixing the luggage from the inside. So take out the glue, and first shape it into a little ball. Then try to press it to make a thick rectangle - if you use gloves, there won't be any fingerprints in the glue, which will give it a smoother finish. Centre it over the mesh, and press it firmly into place to cover the entire hole, as well as the mesh. This will keep the support material in place, and make sure that it doesn't fall out by accident. But don't worry if you can't do that in one go - you can build up the patch later. It's important to cover the hole first, and then you can add pieces of glue to cover the entire mesh. And be sure that you press the glue through the holes in the mesh - that way it will connect with all sides of the cracked shell. The next, and the last step is to build the patch from the outside of the shell. That way you'll ensure that the glue is also connected to the outer part of your luggage, and that it will stay in place. Also, this allows you smoothen the outside of your suitcase and make the repair even less visible. So, mold the glue on the outside until you've expanded it on all sides, and until you're happy with the way it looks. If there is any access Sugru, feel free to remove it - this will make the shell look even more seamless. It is surprisingly easy to repair an ABS shell. And even if the crack is along the full length of the shell, you'll be able to fix it. That's some good news right there! You will need some supplies from the hardware store, though - namely Methyl Ethyl Ketone (MEK). 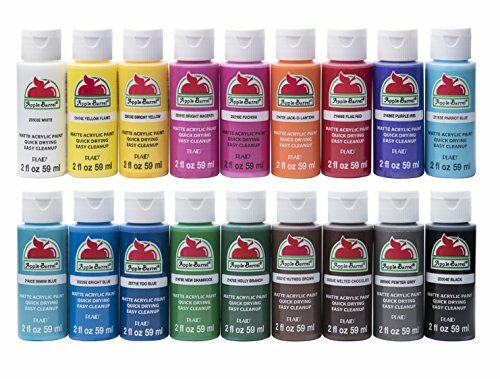 This is something you can't really get on Amazon, but you should be able to find it any hardware store. 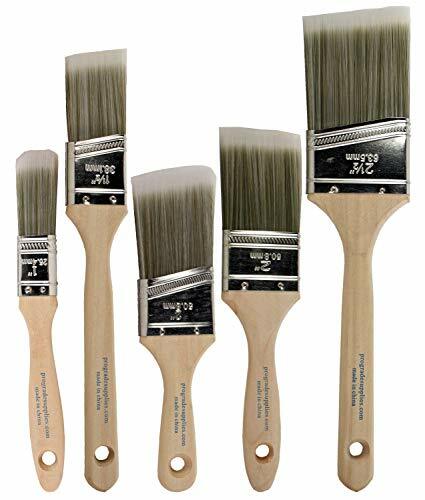 I will link some other supplies you'll need - a piece of ABS plastic (it should be as long as the crack or slightly longer), a paint brush and a container. You can get a plastic container, a glass container or a ceramic one - just don't get an ABS one. The MEK will burn right through it and you'll have a huge mess on your hands. First thing's first - get a piece of cardboard and put it below your cracked suitcase. And make sure to this on a hard surface - preferably a glass or wooden table. So, put the cardboard on the table and then put the cracked shell on it (the inside of the suitcase should be facing up). Pour out some MEK into the container, and put it next to the shell. Now, you want to make sure that the cracked sides of the shells are nicely aligned. They shouldn't be overlapping, but rather simply touching each other. Dip the brush into the MEK and remove all access by tapping it against the sides of the container. Then apply the MEK to the cracked plastic on the inside, as well as some to the cracked sides. You also need to apply some of it to the piece of ABS plastic that we're using to cover up the shell. Then press that piece of plastic onto the crack and leave it to set for about 20-30 minutes. You can also put something heavy on it, to ensure that the pieces stick together. So what is actually happening is that the MEK is dissolving the ABS plastic. When it's dissolved it's going to stick together nicely - that's why we're covering it with another piece. And you'll see for yourself - after about 20 minutes, the crack should be perfectly patched up. And even stronger than before! Gluing polycarbonate shell together is as easy as fixing ABS shells. The only thing that differs is the type of solvent used, and obviously the type of plastic you'll need to make them stick together. And just like with the previous fix - lay the shell flat on a hard surface, and put a piece of cardboard of wood below it. Pour out some methylene chloride into a container (obviously not a polycarbonate one; I suggest a glass or ceramic jar) and dip the paint brush into it. Remove any access solvent and apply it to the cracked part of the shell. Also apply some methylene chloride to the sheet of polycarbonate that you're using to cover up the crack, and then press that sheet firmly over the crack. You can put something heavy on it, and leave it to set for 20-30 minutes. And that's it! One more thing - make sure that the piece of plastic you're using to cover up the crack is as long as the crack itself. This will ensure that it adheres to the crack completely, and that the fix is successful. Since there are about 20 different types of scratches you can find on your suitcase, we'll talk about several different ways to remove them. Let's start with some shallow scratches - you can remove these with some basic household items. For this fix you'll need just an eraser and some toothpaste - I'm guessing you already have these at home. First you want to clean the scratch with some water, and then wipe it with some cloth to dry it. Take the eraser and rub it along the length of the scratch a few times. Do this lightly - if you rub too hard, you could remove some color from the shell of the suitcase. 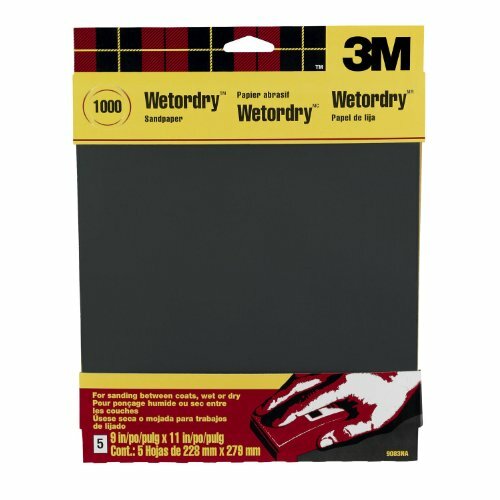 Wipe of any eraser residue from the scratch with a cloth. Then you need some toothpaste - apply a small amount to the scratch with a toothbrush, and work it in circular motions to get it inside all parts of the scratch. Wipe it away with a wet cloth and you're done. If the scratch was indeed pretty shallow, this should have fixed it. If your suitcase is still scuffed, let's move on to the next fix. First, wash the suitcase with some soap and water, and then use a wet cloth to remove any access soap from the shell. You can leave it to dry or dry it yourself with a kitchen towel. When you're sure that the shell is dry, take some wax-based furniture polish and apply it to the entire shell, putting a little extra over each scratch. This will make them much less visible, as well as increase the overall scratch-resistance of your luggage. And it will make it look really smooth, so that no one will even notice the scuffs! 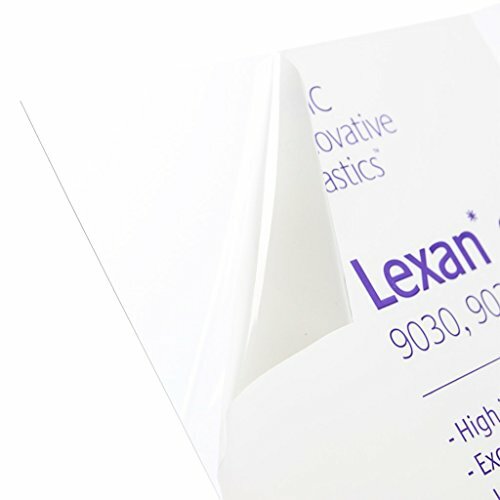 The wax-based polish actually fills in the gaps, and it reduces their depth significantly. After that, you want to apply some silicone-based furniture polish. It will bring out the natural shine and luster of the plastic, making your luggage look even better than before. To really increase your chances of removing scuffs from your luggage, I actually suggest you combine these two methods. You can't really overdo it - you can just make your suitcase look extra shiny and new! Removing deeper scratches from a suitcase is not as simple as the first two fixes. It actually includes repainting the shell, which can get pretty expensive. So, you have to decide for yourself whether it's worth it. For this fix, you will need some extra-fine sandpaper. 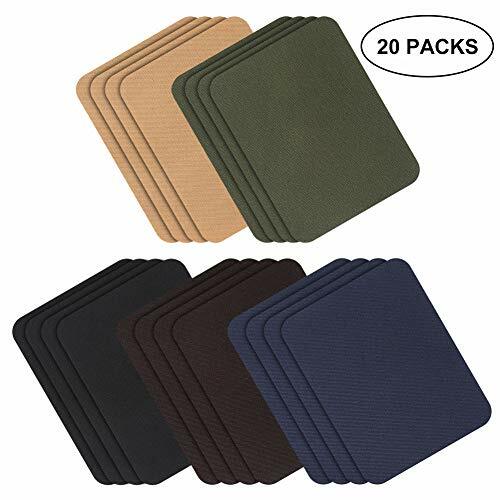 Make sure that you get the right coarseness - if you get a sheet of sandpaper that is too coarse, you will ruin the entire shell of your suitcase. Additionally, it is better to get some finer sandpaper and then have to sand the shell for an extra minute or two, than to ruin it with some really coarse sandpaper. So, you have to sand the scratch. Do this gently and slowly, until you notice that the scratch is no longer visible. This will mean that you managed to get it out successfully. Actually, what you did is thinned that entire part of the suitcase, so be extra careful with it - depending on how deep the scratch was, this part of your suitcase could crack more easily in the future. After that, you'll want to repaint your luggage, because I'm guessing you sanded through the color/pattern. Obviously you'll need some paint that's the same color as the rest of the shell. Or, you could go for a completely different color, and give your suitcase a makeover - it's up to you! I do have to state that this is not an actual fix. 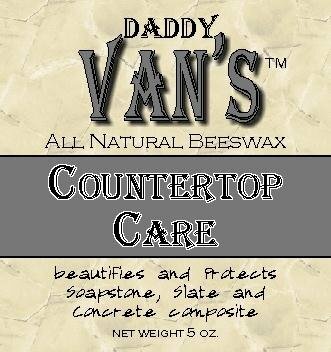 But if you’re tired of looking at the scuffs on your luggage, but don’t have the time to sand them or wax them it will do the trick. You can get some stickers or luggage covers on Amazon, and use them to cover up the scratch. 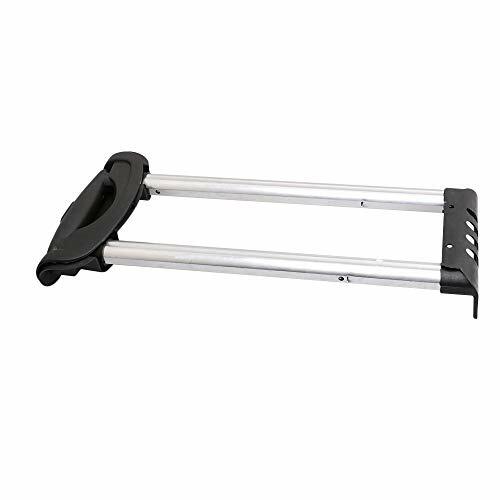 Additionally, this “quick fix” will significantly improve the scratch resistance of your hardside luggage. 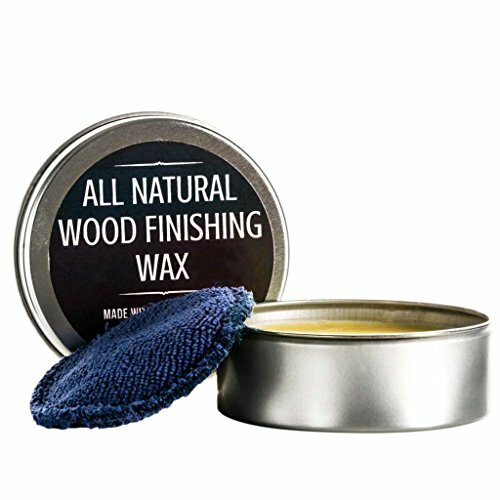 And while it might not be as permanent as thoroughly sanding out the scratch is, it’s perfectly suitable for the busy (or the lazy) traveller! Although a rip in fabric will hardly impact the functionality of your luggage, it is still something you want to fix. Especially if your suitcase isn’t really old – the more you use it, the more likely it is that the fabric will rip even more. So, we’ll check out a few ways to fix any ripped fabric on your favorite softshell, both on its outside as well as on the inside! There are several ways to repair a ripped shell of a softside suitcase. And you probably already have some of them in mid – like sewing the torn fabric together. But there are a few more creative ways, and we’ll also talk about those. Because they are awesome for all of you who would want to stand out at a crowded airport. Or just notice your suitcase more easily on the carousel. This probably already crossed your mind. And if the fabric only tore apart, that is if there isn’t a piece missing, you could easy try to sew it together. But you’ll have to do it manually – suitcases are way too bulky to fit under a sewing machine. 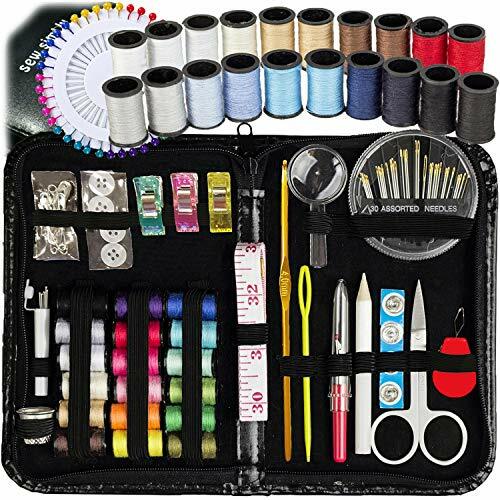 And it’s not just that; even if the tore is on the top part of the suitcase, which you could fit under a sewing machine, and even if you get a needle that’s thick enough to go through the fabric, you will end up sewing through the inner pocket. And that’s not something you want. The rest is pretty obvious – just sew the torn pieces of fabric together and that’s it. Keep in mind that this method is the easiest, but the seam will still be visible. If you want to cover up the entire thing, there are a few other things you could do. Let’s talk about those. This also works if your suitcase is missing a chunk of fabric. So, think about what you want your luggage to look like. Maybe you can add some lace to it? Or you could even sew an additional pocket over the tear? Your creativity is your only limit. But yeah; you will want a large piece of fabric that you can cut in any shape you like. 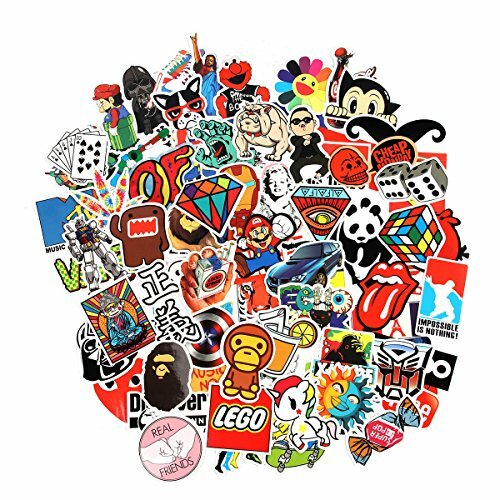 And playing with shapes is also pretty cool – you could cut out an emoji, a flower, a heart, or even a middle finger if you want to show everyone that you're extra tough. Just make sure that the shape you are cutting will cover the entire tear. 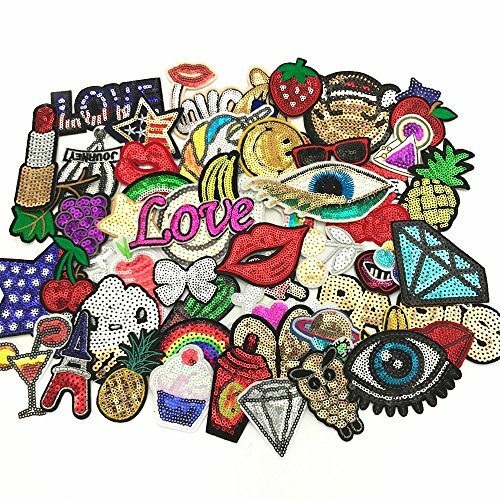 If you dig the glue gun idea, you can also consider getting some rhinestones and gluing them over the torn fabric. It would cover up the rips, and step up your bling game at the airport. Just don’t go to crazy – they will add to the total weight of your suitcase. 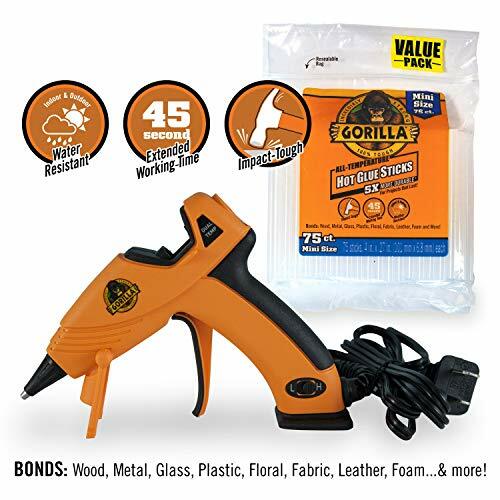 But if you don't really care for the gun, you can also get some Tear Mender fabric adhesive. It works like a charm - just a few drops and the fabric should stick together nicely. Maybe you don’t want to cut out random shapes out of fabric, or maybe you don’t have the time. That’s fine. 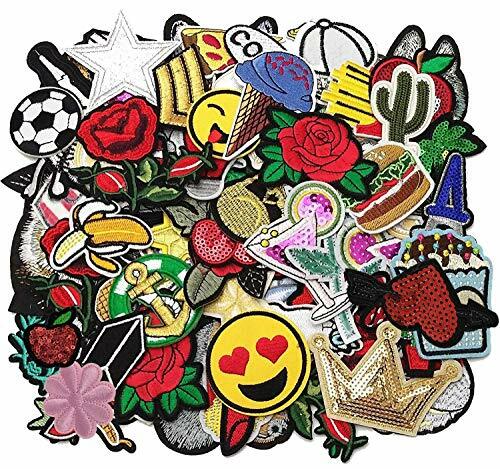 There are dozens of different fabric patches designed specifically for covering rips in fabric. 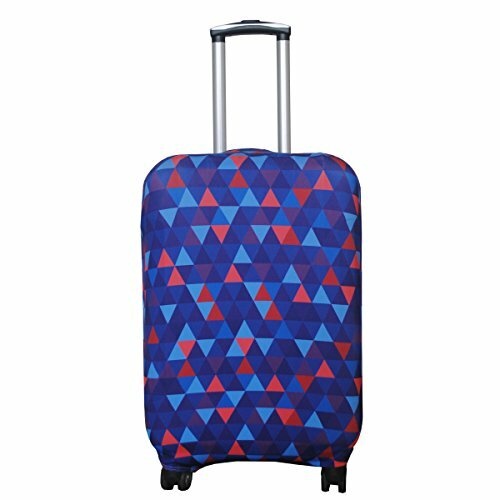 You can get them online, and they will make your luggage look pretty cool. Especially if you pick a theme and commit to it – glue or sew patches all over your suitcase, and no one will ever know that it was ripped in the first place. 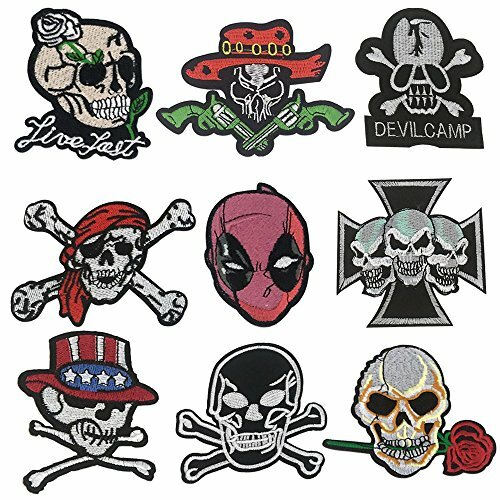 There is also a bunch of iron-on patches you can get. 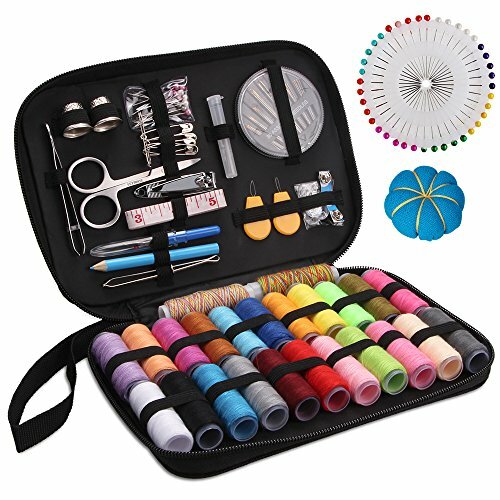 However, it might be more difficult to attach these to your luggage, since the fabric of the suitcase is neither smooth nor completely straight. 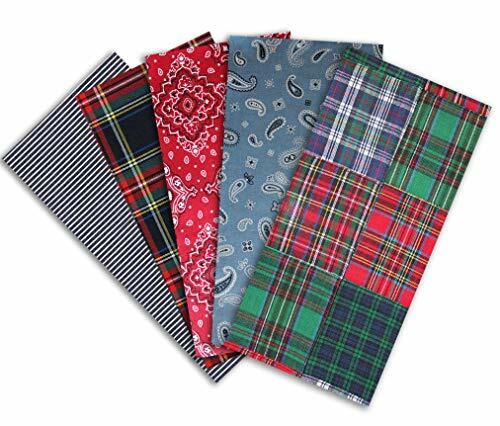 But it’s worth giving a shot – especially since these don’t require any sewing. Fixing rips in leather isn’t as straightforward as fixing plain old fabric. You can’t just sew it together – leather is much more sensitive, and once you put a needle through it, you’ve made a hole that will last forever. 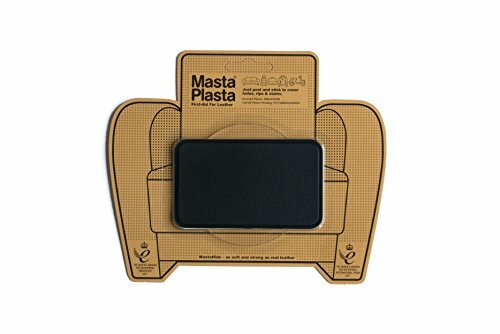 The MastaPlasta leather patches are very easy to use – you just peel them off and stick them onto the ripped part of your suitcase. They also work for leather handbags, jackets and pretty much anything that you own that’s made of leather. 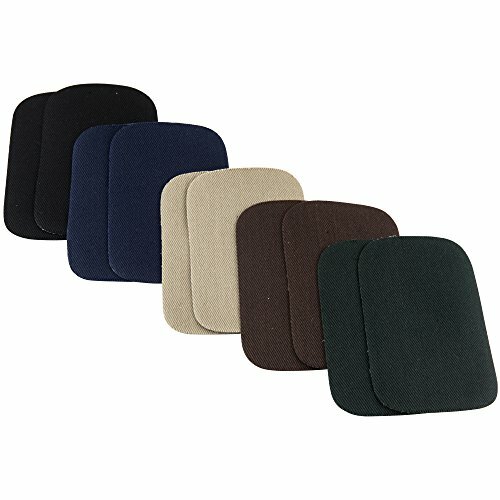 Additionally, you can get them in a variety of different colors, so it should be easy to get a patch that matches the colors of your luggage. The fix will be pretty seamless, and your suitcase will almost look as good as new. Lining is much easier to fix than exterior fabric. For one thing it is pretty loose, it is much easier to sew a rip together without having to stretch out the fabric. You’ll just a needle and some thread, and you can sew the tear together. But what I realized worked best for me was removing the lining altogether. And if it’s the kind that has a zipper in the middle, you will also be removing some weight from your luggage! Not to mention that you will also gain some packing space. As I like to say, when packing for an overseas trip, every single ounce counts! How you are going to remove it depends on how it is attached to the suitcase. 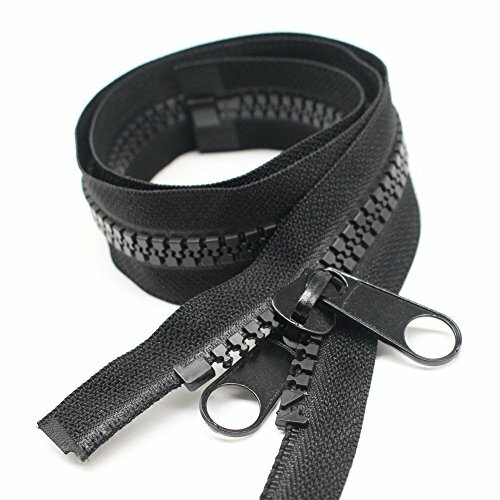 If it is zipped to the interior of your luggage, just remove the zip stops from the zipper, and completely remove the slider – the lining should come right of. It can also be glued to the body of the suitcase. In that case you will need to use some force to tear it apart from the body. Don’t worry about damaging the luggage – the worst thing that can happen is that the lining rips into a few more parts. And since you’re removing it anyway, that shouldn’t matter at all. Have fun DIY-ing and remember - be patient with the glue and don't rush anything. I hope that these tips helped you repair your broken suitcase and saved you some money in the process!